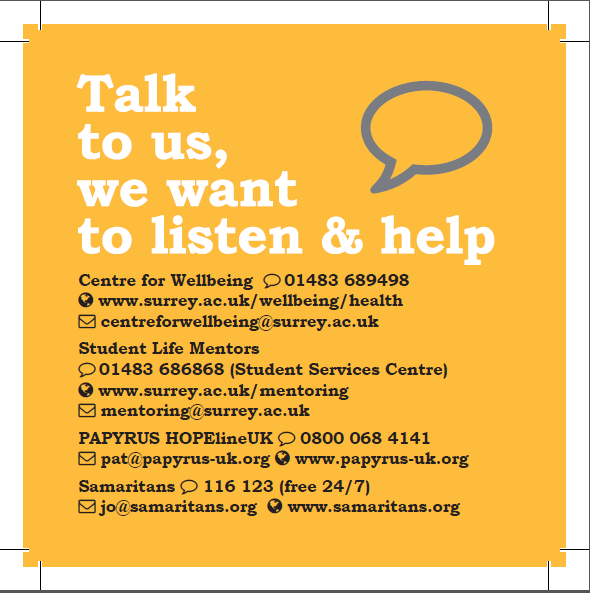 “Talk to us – we want to listen and help” is the message on coasters that our Student Life Mentors have been handing out to all of our first year residential students over the past few weeks. 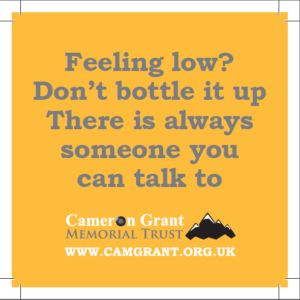 The Cameron Grant Memorial Trust have produced coasters (personalised with Surrey contact details), to encourage students not to bottle things up – but to seek advice and support as there are lots of people/ services who want to help if students are willing to seek support. One of our Mentors popped into the office last week and told us “I just wanted to tell you that the coasters worked! A mentee opened up to me after I gave him the coaster, and he started by saying ‘Now that I know I can talk to you…'” another Mentor told us that one of their Mentees has booked an appointment with the Centre for Wellbeing after receiving the coaster the previous week, as they were feeling overwhelmed and not sure what to do. 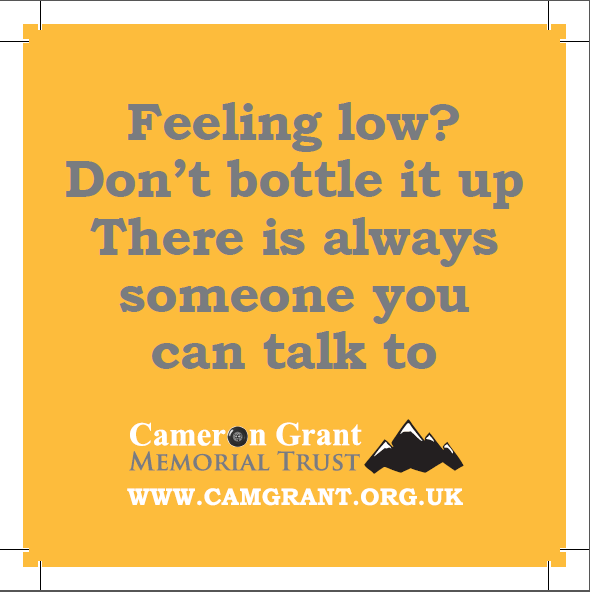 That timely conversation with the Mentor was hugely significant for that student which is excellent. UUK ‘Changing the Culture’ report published.